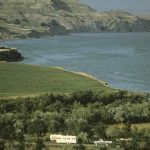 Lewis and Clark State Park is situated on one of the upper bays of Lake Sakakawea. 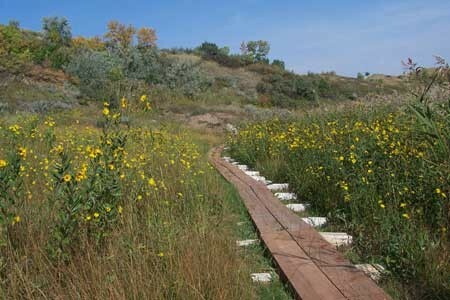 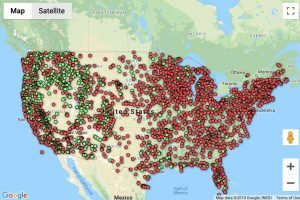 The rugged buttes of the North Dakota Badlands display a towering backdrop to one of the state’s best recreation areas. 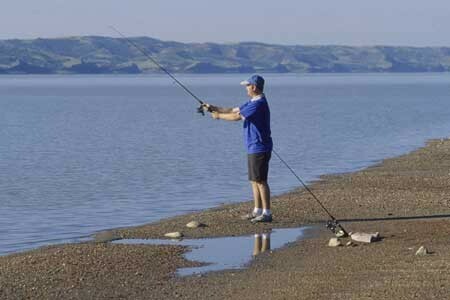 The park, of course, is named for the Corps of Discovery explorers, Meriwether Lewis and William Clark. 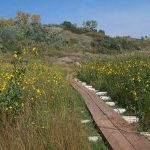 The expedition camped nearby on April 17, 1805, and an interpretive trail marker has been placed within the park to commemorate their historic journey through North Dakota. 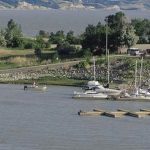 Due to low water levels, the park’s marina, gas dock and beach are closed, although the concession building is open during the summer. 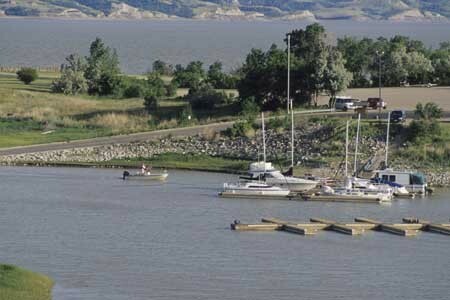 Boats have limited access to the Missouri River from a low water ramp. 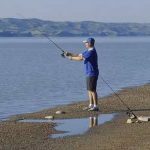 Two rare fish species… the pallid sturgeon and the prehistoric-looking paddlefish… can occasionally be found in the lake’s western reaches. 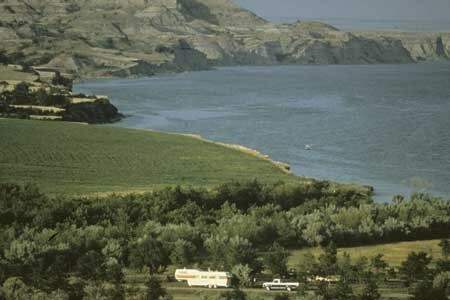 Location: Lewis and Clark State Park is located 19 miles southeast of Williston on Highway 1804.